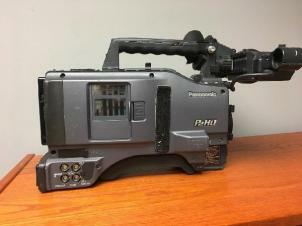 The Panasonic AG-HPX500 is a 2/3" CCD high definition camcorder designed for use with the P2 memory-based recording system. The camera truly shines in a wide variety of applications previously only possible on the highest-end Varicam. The unit is lightweight enough to take almost anywhere while still conforming to a shoulder-mounted form factor professionals require. Four P2 slots allow for up to 256 minutes of continuous recording. 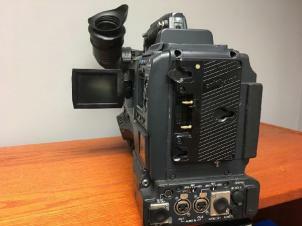 Unlike similar priced camcorders, the AG-HPX500 can shoot a variety of standard definition and high definition resolutions, including 720p, 1080i and 1080p. All footage is recorded to the industry-standard DVCPRO, DVCPRO50, DVCPRO HD formats, which can be used in almost every professional editing suite. Features such as variable frame rates, 60p, chromatic aberration compensation (CAC), cine-like gamma, and many others provide limitless possibilities for dramatic, news and sports productions. No matter what the task the AG-HPX500 has it covered.